chip chop tipped me in on this board on ebay. I was expecting alps but got this instead. Has anyone ever seen this switch before? It's linear - and in fact I thought it was alps before removing a cap. That looks the same to me, thanks! I'll read up on them a bit! I recently bought this keyboard hoping for Alps, but no dice (I think). The switches are very clicky and rather course. Not terrible, but not great. The keycaps are pretty nice. They're double-shot MX mounts. Any idea as to what the switches are? Hi! I ended up getting one of these just recently as well. It's a shame, I was also hoping for Alps. It's Deyi Clicky Foam and Foil, and unfortunately for me the keyboard didn't even properly function because Foam and Foil fails over time. I just scrapped it and kept the caps and the dust cover that came with it. The caps look fun though so its not all bad. this is my first post here and I hope I'll have a good time and learn a lot on this forum. While searching the internet I stumbled upon a Nixdorf board with those weird switches that I struggle to identify. They seem to have a weird, very distinct shape. Maybe you guys can help out? Because of the keycaps they're probably similar to MXs, right? I'm sorry for the terrible image quality. Those are just the pics from the seller and that's all he got so far. Those switches are most definitely *not* MX! Oh my, how could I not see this. That's the first thing to look up. Sorry and thanks a bunch! Hey, no worries. I’ve never seen them before either. 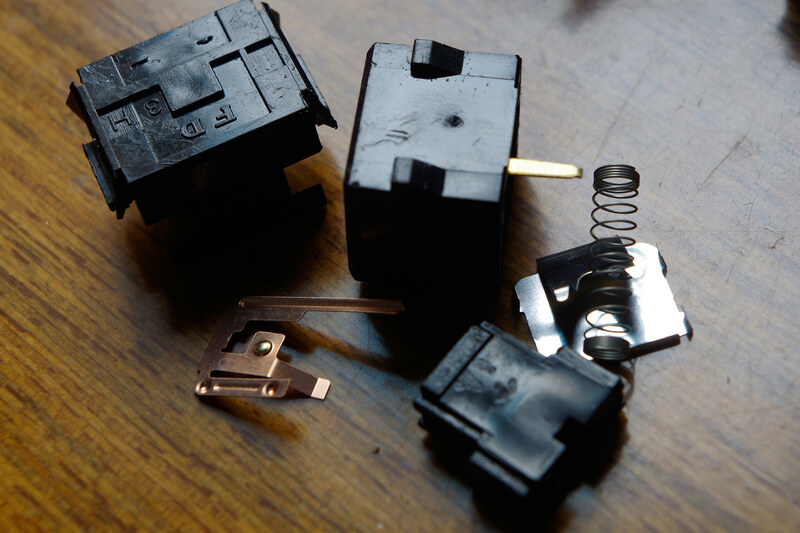 Nixdorf made quality kit, right down to their custom clear topped MX switches. But the board you’re looking at is a different beast. Anyone know what those feel like? Thanks! I thought some fellow Deskthorians would have bought one of these. Actually this one works just fine. I have better keyboards, so I'm not sure what to do with this one. If anyone is interested in the keycaps please let me know. Yep, they're the FK layout, which is my favorite. Bigass Enter with the pipe next to the right Shift key. They're Nixdorf magnetic valve. 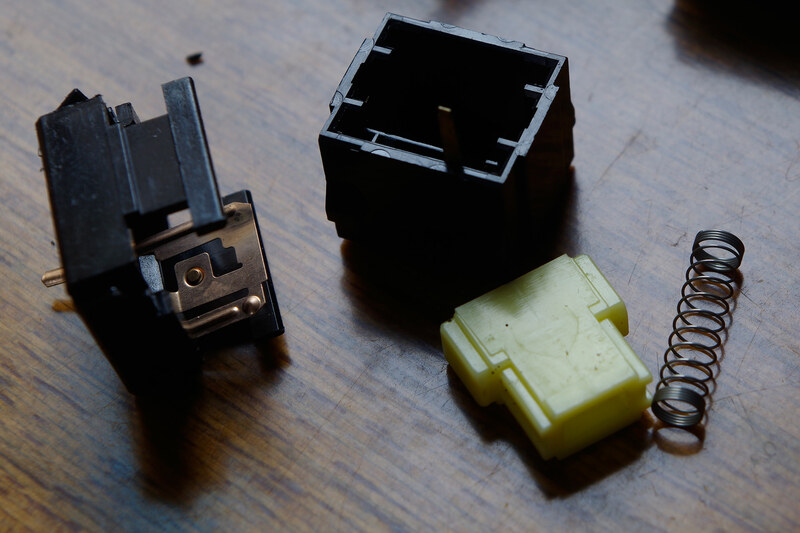 The Nixie MX-type switches were found in other models. Here's an interesting one. Switches are super smooth and linear. Last edited by JP! on 23 Jan 2019, 17:47, edited 1 time in total. 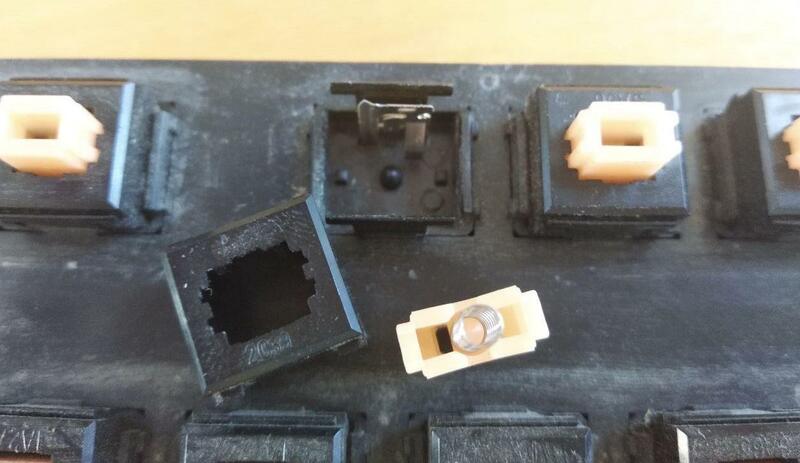 Looks like Key Tronic magnetic reed or a clone (caps look KT though), or possibly their block-mount foam and foil switches. Another odd one. Edit: This keyboard goes with an Amiga 1000. Last edited by JP! on 28 Jan 2019, 05:51, edited 2 times in total. Oh thanks! Never seen one or tried in person so I'll see if I can find a review. I probably won't pick this one up unless someone has interest. Also that board sure does have a funky layout. You might want to give them a try if you like tactile switches. Mistumi standard aren't bad from what I've tried, and that board looks like it's not that dirty (just banana'd). Actually I love how the spacebar and case are color coordinated. 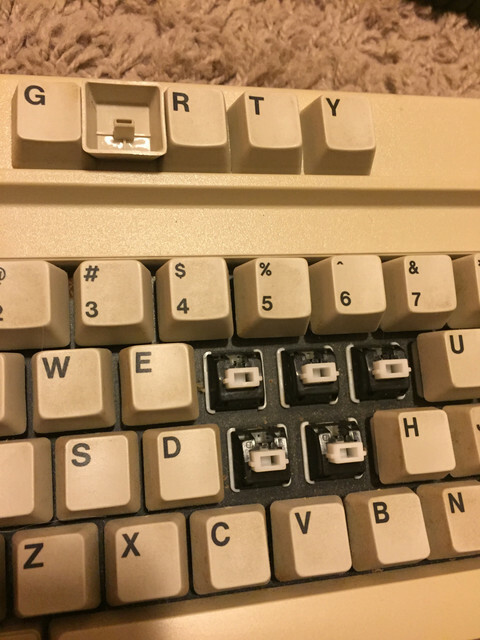 What Alps (or clones) are these? 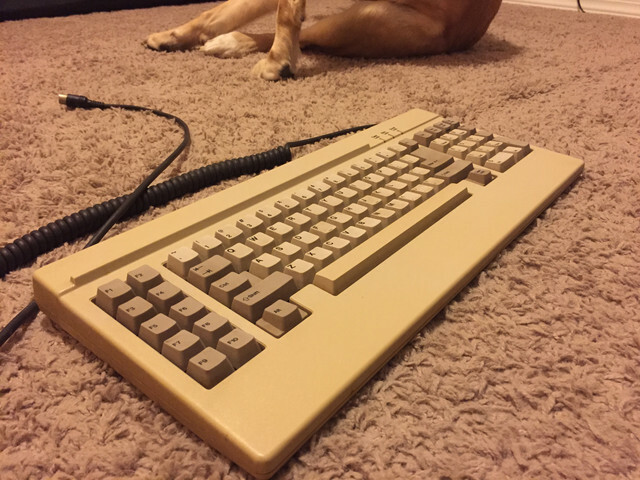 Seems like plain old Yellow Alps to me. I believe some of them can come without the LED cutout. 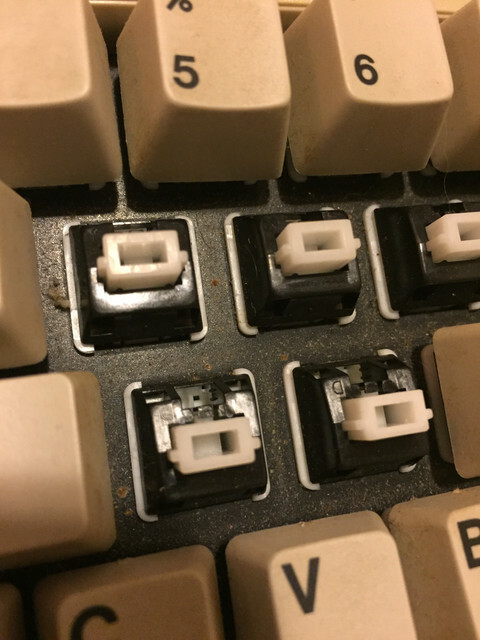 If that is from the taobao guy that sells alps I think someone bought them and they were clones. I might be mistaken tho. Know if they are clicky, tactile or linear? I might be wrong, you should pm Drclick. Have you contacted the seller if they have any SKCLFQ left? My order arrived today. They are ALPS linear yellow switches(SKCLFQ). 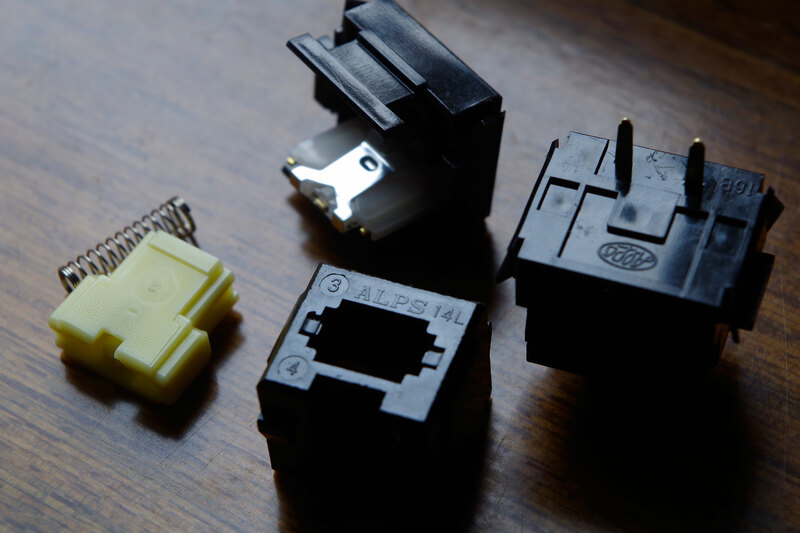 The seller also have the other two kinds of Fuhua ALPS switches, Yellow(soft linear) and Black(tactile). But they are all later simplified version. Looks like Key Tronic magnetic reed variant #2. I believe this is now the oldest keyboard in my collection since this teleterm seems to date to around 1973. I plan to do a full teardown and clean up of this one. Additionally there is a single switch with a light bulb. I recently found a Facit 7800 electronic typewriter. I searched for it on the web but no useful information came up. The switches are quite tactile. The caps are double shot. It says "made in Japan" on the keyboard module. Any Idea as to what the switches could be? I can provide more pictures if it's necessary. Not likely since they're tactile. Looks like Logitech ripped off this idea. Are those alps.tw Type T8?